The Yellow Billed Babbles visiting the birdbath has become regular, though I don’t check them out daily, I’m sure they are there almost every day and if not for bathing, at least to take few sips and forage on the gain we left on the compound wall. I hang a birdfeeder outside my home but these birds (and any other birds) ever took seeds or grains from it, perhaps the height or getting balance through the feeder keeps them away but babbles being mostly forage on the grounds with short flights expecting them to pick from feeder is not possible. 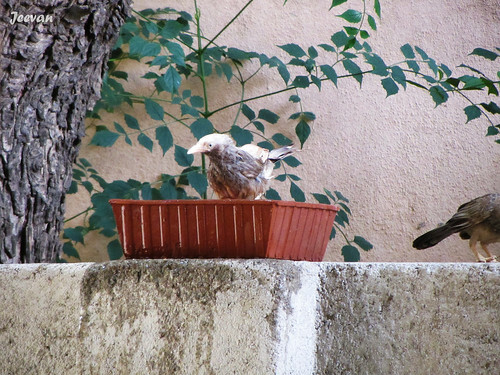 A bang usually marks the arrival of the babblers and the noise increases when they are near the birdbath. Yesterday a couple of monkeys came drinking water from the birdbath, scattered the grains all over after filling their mouths, the babblers were on the ground again to pick grains. The grains were kept on a plastic bowl and they didn’t touched it last few days, but now going on ground to pick from muddy. One of the difficult things for me was to delete a photo. Taking photos isn’t pretty easy for me but the passion keeps me engaged and clicking while traveling in car is really difficult though I try my best taking clear photos, many go out of focus or shaken when in move. I know this is a normal thing to happen with normal people, but what matter was deleting those taken with great effort. I used to take many photos during my travel and back at home I had to filter/delete many photos that weren’t good to maintain space in laptop. During the travel we capture many interesting places, moments and sight, but not everything comes under well focused and deleting it for some interruption is really difficult. By this way I hold lot of photos and some were quite blur that no one could identify except myself who experienced the shoot and the picture continue to be a reminder of the moment or significant of the place or subject. We take random shots on things to be deleted, later keeping the good ones but the thing was coming to the term of deleting we continue to like the image for some reason. Few such photos are here where I have no mind to delete. First one was cropped from a picture and i was impressed by the scene but it was gloomy and bit more grainy, so I applied oil paint. Second was doped in same, where the focus went wrong, instead on capturing the pretty colourful temple I only got blur as the focus went on steering. Not to forget it was drizzling outside. I ever over edit my photos or want to showcase what is not there and I believe editing of any photo works only if there’s something in the picture. I’m using Photoshop from very long time and my editing of photos always remain mild with brightness contrast, exposure, sharpening and reduce noise but these help hand only to a level. I just want to show how it really looked rather adding extra effects. Now I started to experiment with photos that went wrong and its really interesting to play with various filters which I don’t use mostly. I’m back from the vacation two days before and it was indeed a wonderful trip/time except for couple of my cousins and aunt/uncle who couldn’t make up to the vacation. 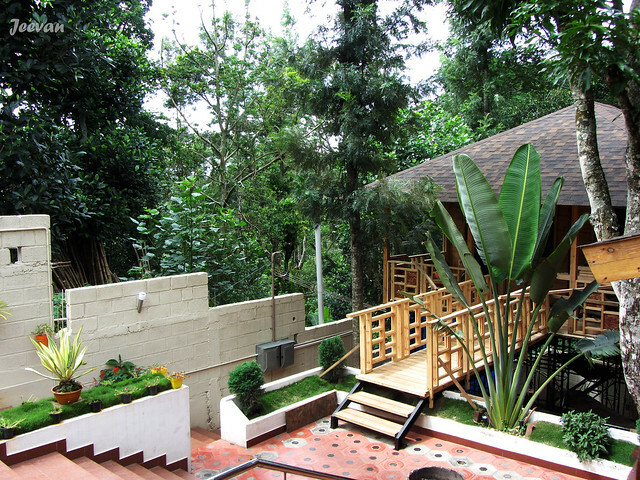 We spent 8 nights at my uncle’s woodhouse/cottage in the Kodai hills or half-kodai, what Thandikudi is called and it is one of the longest vacations I had in my life apart staying at our close relative’s house during school days. Unlike last year we planned this trip earlier due to one of my cousin’s college reopening but at last they postponed the opening, so we went along our family 3 days before my uncle/aunt (who owns the cottages) arrives. As usual this time too (staying from my uncle’s woodhouse/cottages, the Serene Woods) I got to explore and experience some new place and routes to keep it interesting. By this travel I have covered all motor accessible roads to Kodaikanal, though it was a link road for about 35-40km, I felt awesome taking this road that take me through some pristine falls sight and environment that many unaware about. I’m someone always look forward for something new and different even if the destinations were same to make my travel interesting. I explored couple of mountain villages taking a road less travelled, with scenic mountains and fascinating houses to view. During my stay I visited the Berijam Lake, in the wildest part of Kodaikanal, after a gap of 8 years. I have been to the placid lake area couple of time in the past and I truly love the enriched natural environment of flora and fauna. We went through really a tough experience obtaining permission to visit the lake as it was in a protected area, though there wasn’t trouble in getting permission but we were a bit careless to become exhausted. 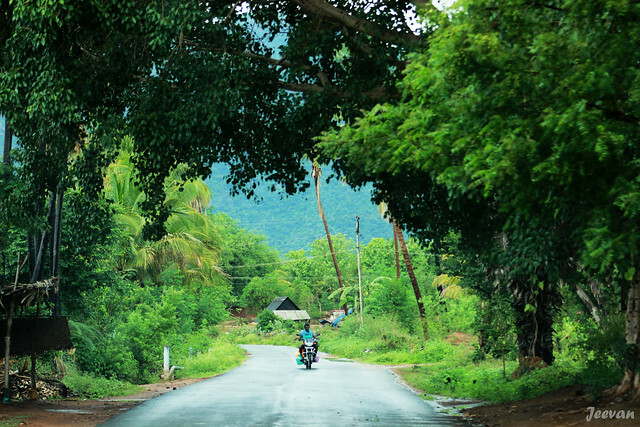 Other day I was on my favourite road (Dindigul to Kumily) to visit a scenic village on the foot hills of Bodi aka Bodinayakanur and it was a popular shooting spot where the Tamil movies Kumki and Myna has been shot. I always prefer for a relaxed travel and plan according to it because I couldn’t over strain myself and I can’t check various places at a time. Thanks my uncle for building a woodhouse/cottage on the lap of mountains bestows me with abundance chances of exploring various places around the Kodaikanal, Dindigul and Theni regions. The woodhouse and cottages named as Serene Woods, is a fabulous place to stay and relax and enjoy nature at bay. Amid the woods I truly enjoyed having breakfast listening to the sound of birds unlike watching TV at home. 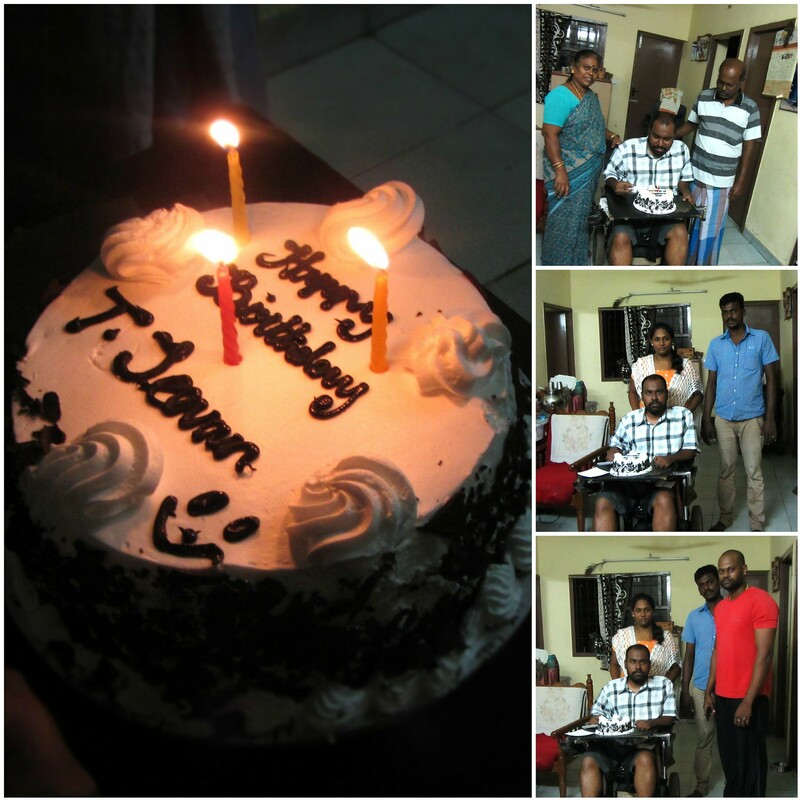 It was blissful spending time with cousins at my favourite environment of woods and visiting places around. 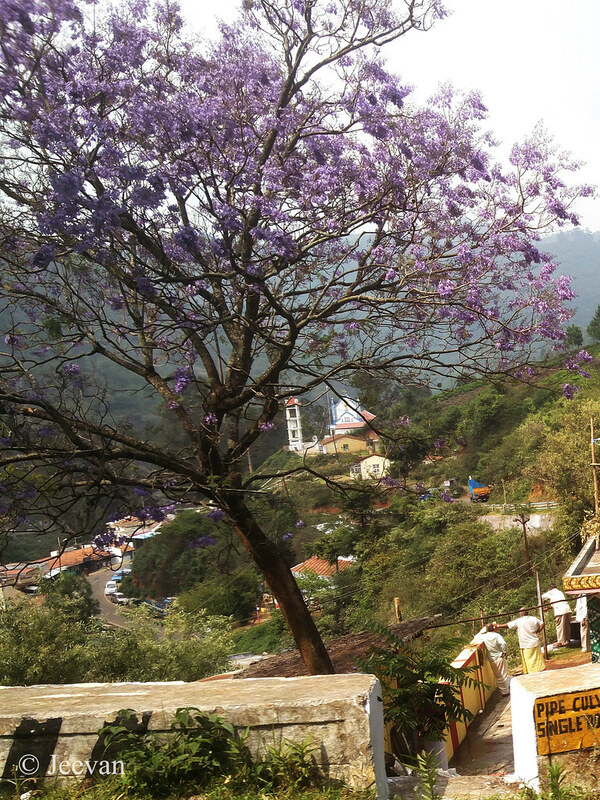 During my travel to Nilgiris, popularly known as Ooty, in April we were treated by the blue flowing trees at many places which was like giving an addition coat of blue to the Blue Mountains. The tree is widespread across the mountains, but we saw them in large numbers around the Coonoor and Wellington Cantonment. 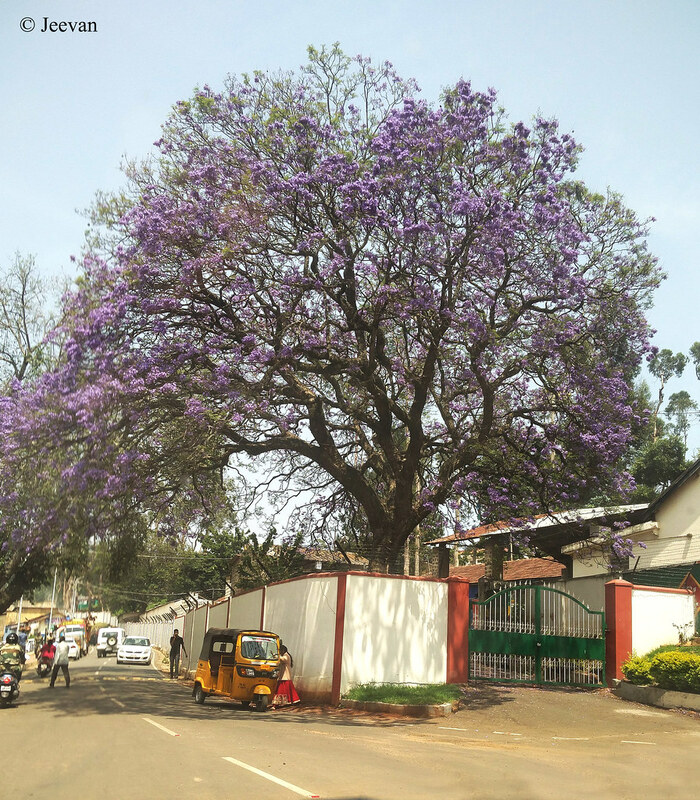 Jacaranda tree or Blue Jacaranda is an ornamental tree grows up to 18 meters and is popular for its clusters of fragrant purple trumpet shaped blossom that blooms from March to May. The blue jacaranda has been planted in almost every part of the world where there is no risk of frost; its bark is thin and grey-brown in color, twigs are slender and slightly zigzag in light reddish brown color. The flowers are up to 5 cm long and are grouped in 30 cm panicles, appear in spring and early summer and last for up to two months. Each flower blooms with a five-lobed blue to purple-blue corolla and few species have white flowers. The fruit is an oblong to oval flattened capsule containing numerous slender seeds. 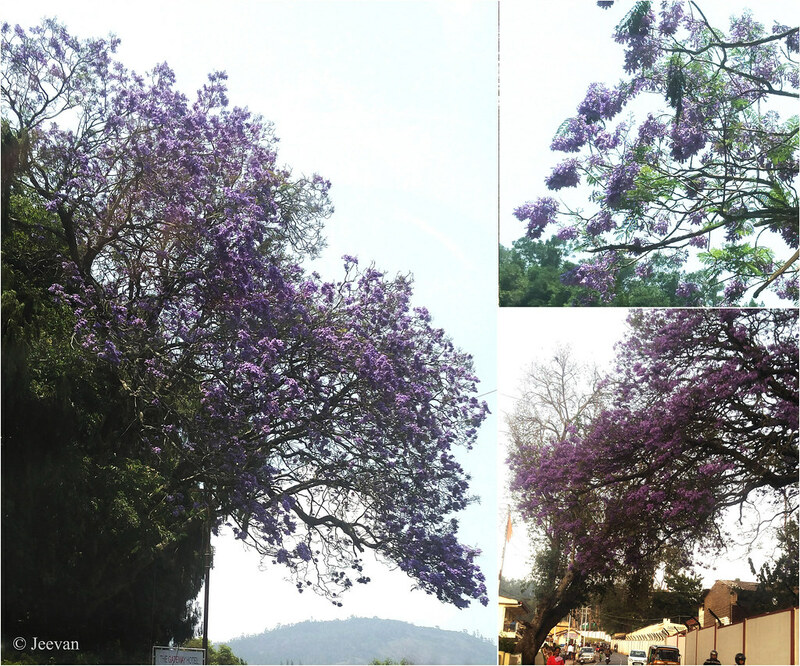 There’s a city in South Africa called Pretoria and is popularly known as The Jacaranda City due to the enormous number of jacaranda trees planted as street trees and in flowering time the city appears blue/purple in color when seen from the nearby hills because of all the Jacaranda trees. Ps. Off to mountains for a week... will post and check blogs once back from vacation. 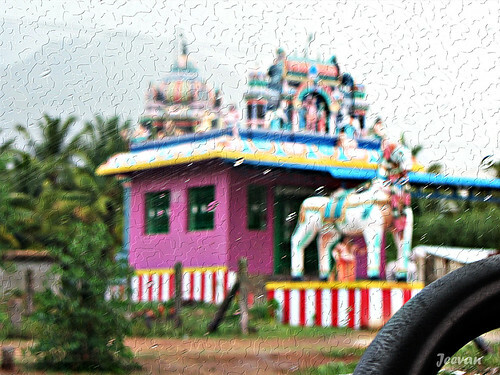 Following our night stay at Sathyamangalam, we headed to Athikadavu on the way to Pilloor dam and then to Ooty. 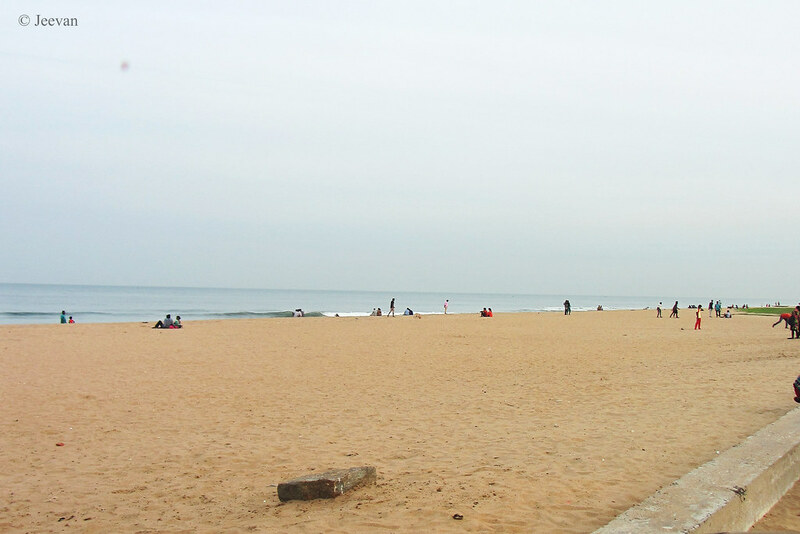 Athikadavu is a familiar name in Tamil Nadu which stands for the long pending Athikadvu-Avinashi project, which is a dream of the dry regions of Coimbatore. Before going future let see how to reach the place. Athikaduavu is 29km from Karamadai, which lies between Coimbatore and Mettupalayam, but as we coming from Sathyamangalam we directly reached Karamadai without going to either places. 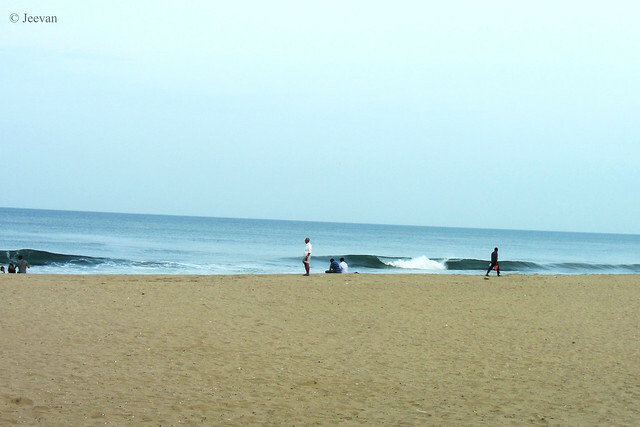 Athikadavu is a place where the Bhavani River re-enters Tamil Nadu after flowing into the neighbourhood state Kerala. 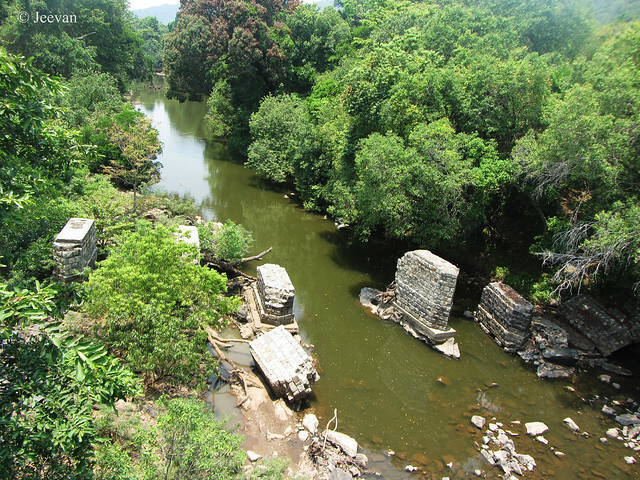 The Bhavani River is sourced at Upper Bhavani in the western catchment of Nilgiris in Tamil Nadu. 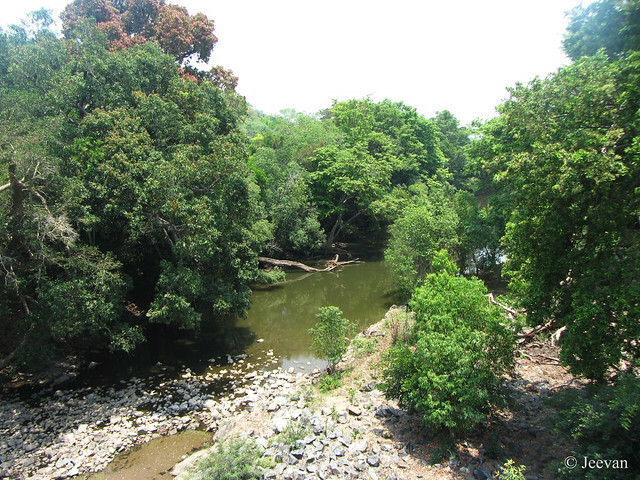 The water flows through Athikadavu is stored at two reservoirs (Pilloor and Bhavani Sagar Dams) on its way before merge with Cauvery at Bhavani Kuduthurai. 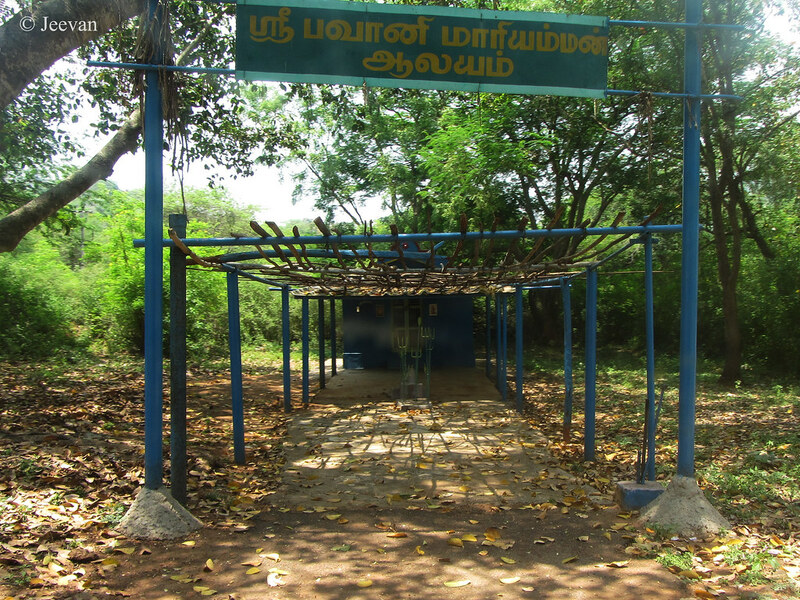 The Athikadavu-Avinashi project is dated back to Kamaraj regime, while he was chief minister of Tamil Nadu during 1954-1963; it was initiated at 108 crore. But the project ever took place. 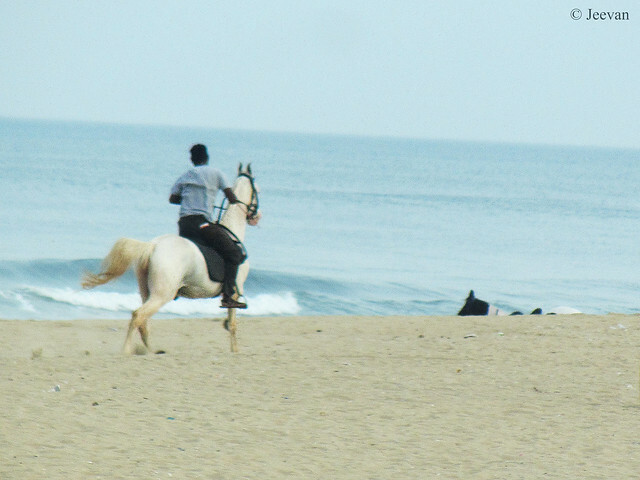 The Athikadavu-Avinashi project is always in talk of politicians propaganda and the activists continue to fight in supporting the project which is estimated to be more than 1100+ crore, now. It was during the Kamaraj regime where most of the dams in Tamil Nadu were built. And many of them were engineering marvel. The intention of this project is to bring the surplus water from the Pilloor Dam, to the high and dry area of Coimbatore, Tirupur and Erode districts through artificial channels and existing streams to fill up the ponds and lakes to recharge the groundwater table. Like I said above, the Bhavani River which originates in the Nilgiris of Western Ghats receives extensive rainfalls during the monsoon seasons and Pilloor Dam was the first to open its shutters due to heavy downpours, which floods the regions around the river seriously. Athikadavu being a backwater region of the dam and geologically located upward comparing its surroundings, achieving the water could be done just by means of concrete traps. This project is believed to bring a revolutionary change in the fields of agriculture, human livelihood and industries of the western part of Tamil Nadu. Actually my intention was the check the Pilloor Dam but only after reaching the first forest check post, at the foothill where informed that public is restricted (temporarily) to enter the dam and forest adjoining the river. 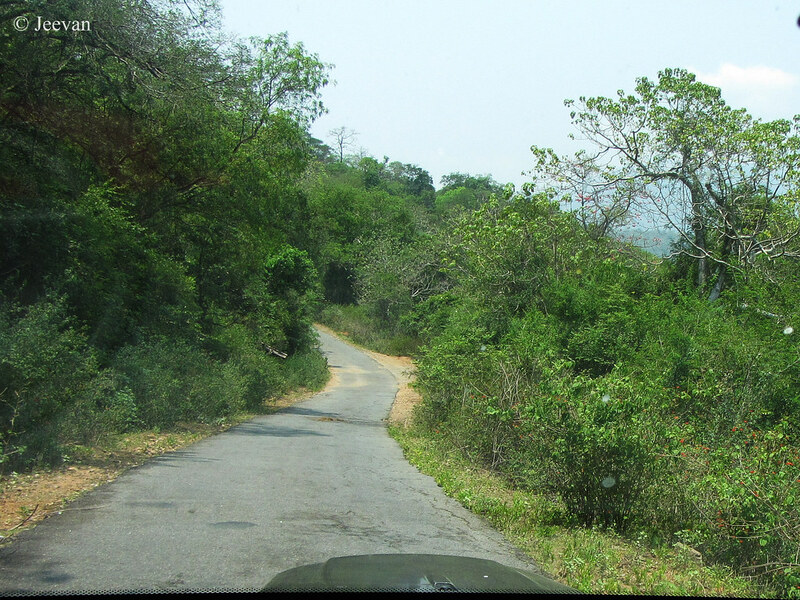 The road via Athikadavu leads to Ooty, but it was an unusual route that I want to explore for some time and I ever thought it could happen very soon. 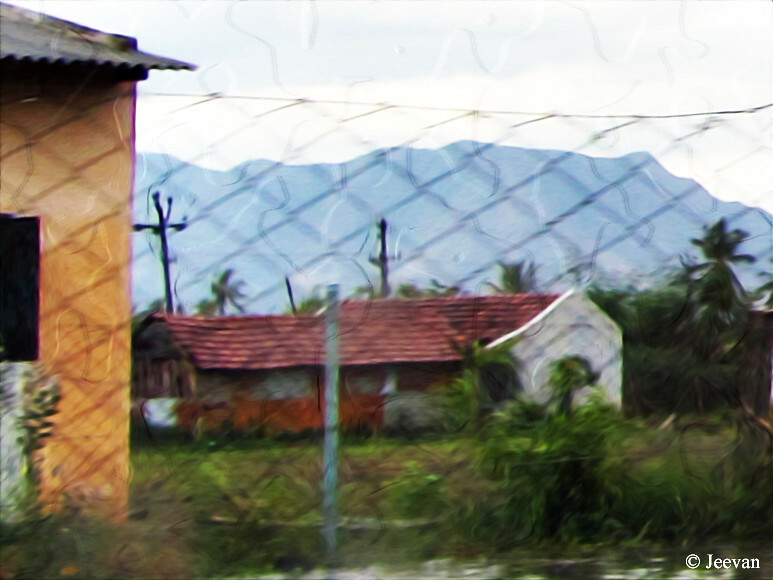 As I was unsure about the road condition, we had initially planned to go to Mettupalayam and take the Ooty main road after visiting the Pilloor dam but the guards at the check post promised the road was good after certain distance. 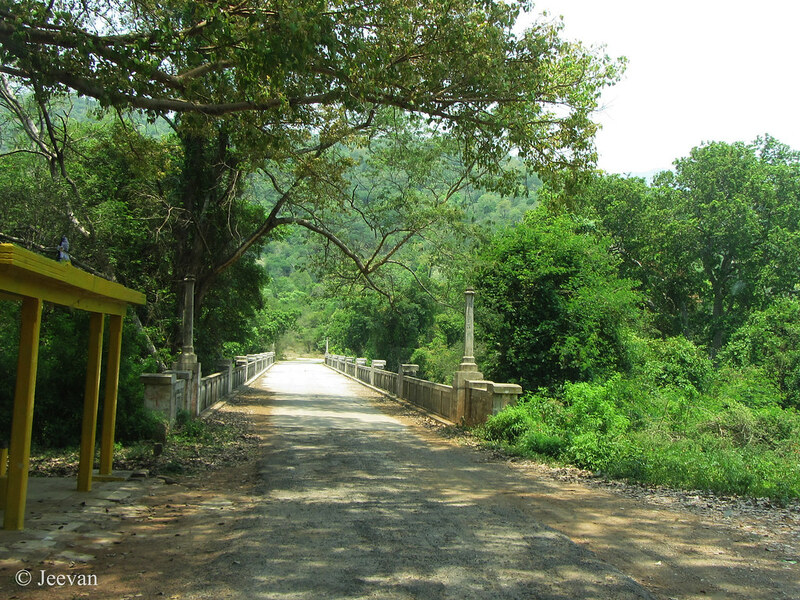 There are three forest check posts on this route and the Mulli check post come bordering with Kerala state, from where one road leads to Pilloor Dam and another to Kerala. We stopped at the Athikadavu Bridge before passing the second check post to capture some photos on the river and forest aside. 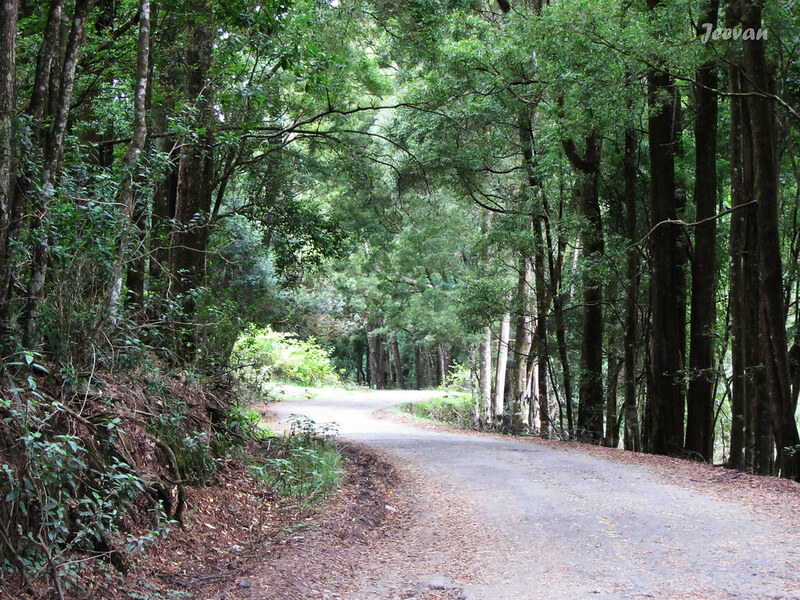 The road is quite a single lane till Manjoor and passes through thick forest, where elephants frequent. But the road wasn’t good for about 20 kms and seems to be not relayed for decades. During an evening at Palavakkam beach in the neighbourhood, few weeks back, I got to see an interesting scene where a dog racing a horse. The horse rider was running the horse on the beach sand, perhaps to attract customers or training the horse; a dog was chasing the horse and also overrun the horse to stop where it was. 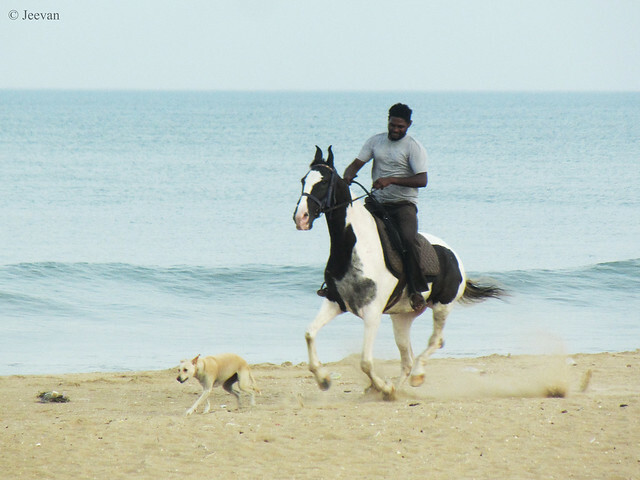 The dog should be either his own or coming from the kuppa (fishing village) nearby. They went for about couple of rounds around the beach sand before went afar.